Water emerges from a pair of apposing holes above each of the three diamond shapes, causing them to slowly rotate. Each diamond has cusps that temporarily hold water and then pass it below. 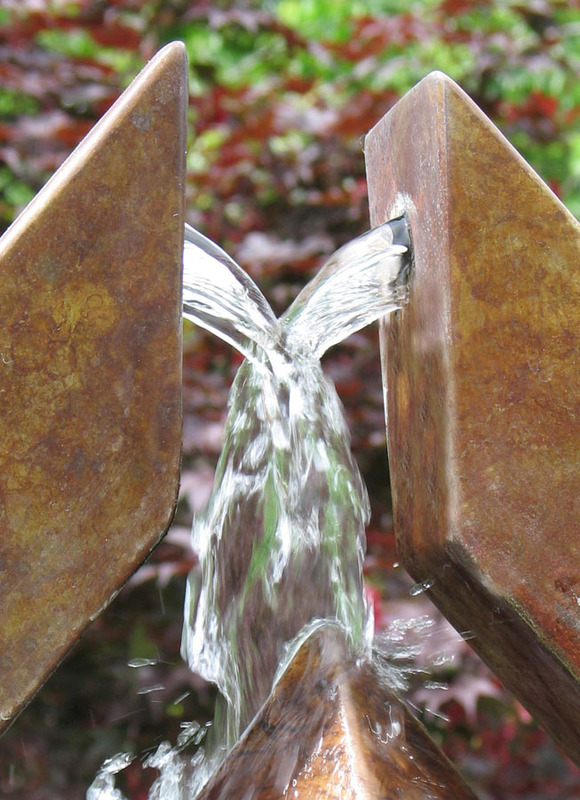 The resultant spinning motion causes water to swing out in fascinating shapes. 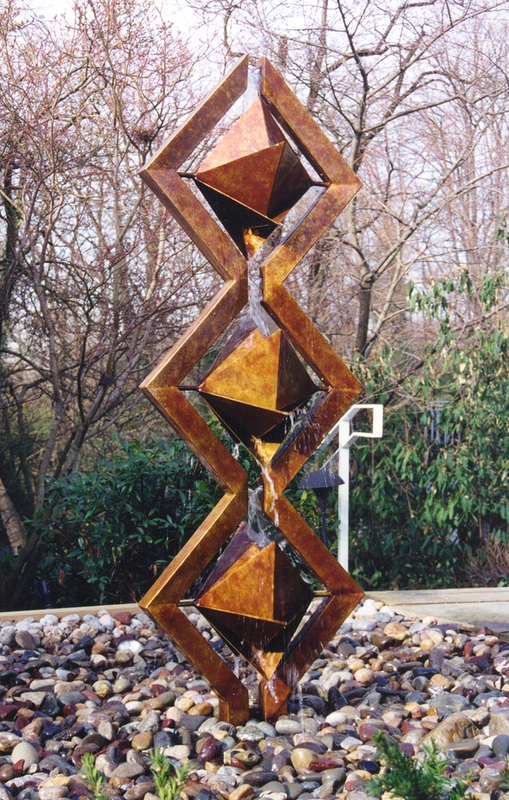 Translated from Hebrew, “From Generation to Generation” symbolizes the life source (water sculpture) for each generation (diamonds). Limited Edition Artwork created for Blue Cross Blue Shield Regional Headquarters, Rochester, New York, Temple Emanuel, Charleston, South Carolina, and Seminole State College, Sanford, Florida.